It’s almost here! The sequel to Isabel will premiere in Spain on Monday 7th. 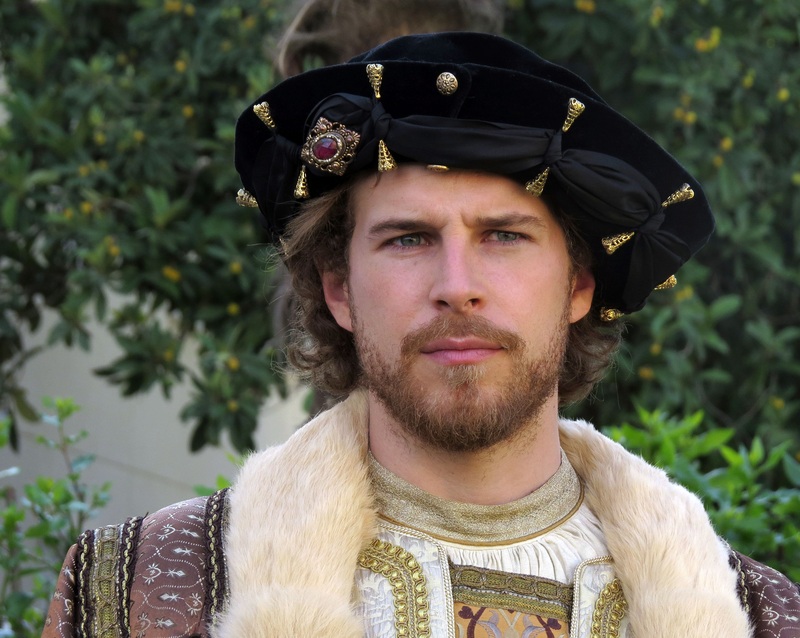 The first season of this miniseries will bring us the story of Spain 12 years after the events of Isabel’s finale (a gap that, let’s not forget, will be covered in the movie La Corona Partida). It’s only days before we can enjoy this retelling of Spanish history, the costumes, the impressive sets and landscapes, so let’s prepare ourselves for this new chapter! The creators of the show know that one of the main traits of its viewers is their hunger for knowledge, so to speak. They want to learn and find out more about these historical characters. That is why a series of podcasts about the childhood of Carlos has been released to tease us and keep us entertained until the premiere – alas, I am afraid you won’t understand a thing if you don’t speak Spanish. Sorry! The podcasts are aptly narrated by the man himself, Alvaro Cervantes, which I guess serves as a way for us to get used to, for now, his voice. When the show begins, we will be transported to the world of the itinerant Spanish court of the early 16th century. We will witness the year-long honeymoon Carlos and his wife Isabel spent in La Alhambra. We will live the never-ending conflicts between the emperor and the kings of France, England and Portugal. We will find out more about what happens to his mother Juana, locked in a room for the remainder of her life with the sole company of her youngest daughter at the beginning of it. I’m trying to think of something riveting to say before the show begins, but there is not much to do except wait for it! I could give you links to a hundred Wikipedia pages that would satiate your thirst for knowledge, but I know for a fact that there is no point in doing that beforehand. Nevertheless, I can recommend a biography called Carlos V that is written by the late Manuel Fernández Álvarez, a Spanish historian who is considered quite an authority when it comes to 16th century Spain. For now, enjoy some behind the scenes photos from the filming here. I am looking forward to seeing, I must say, the way they are going to handle the ‘language’ barrier, as it was a big deal back then the fact that Carlos arrived not knowing a single word of Spanish. Oh well, the wait is almost over. Plus Ultra! Surprised to see this series air so soon after filming as I’m used to the year plus wait of most of my favorite shows..Sherlock*cough. It looks intriguing though I wish we could have heard his voice. 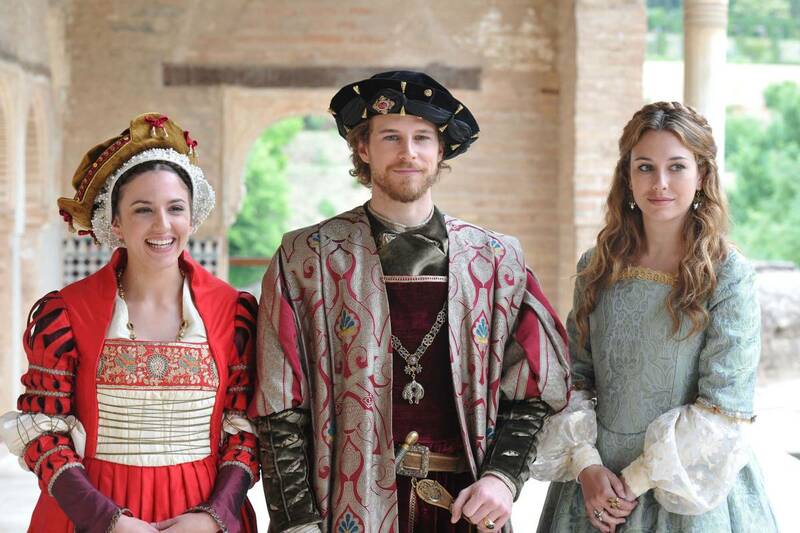 Plus the costumes look even more sumptuous than Isabel, though I believe that reflected the court of Burgundy. I still feel sorry for Juana as if people really believed she was crazy-especially the court, I doubt they’d let her daughter live with her. She seemed to be manipulated all her life. Thanks for the links to the podcast. Very interesting from what I can understand and a nice link to the early parts of his life, even though I think they should have showed his whole life. One series doesn’t seem to allow for the depth of history that Isabel provided. Hopefully, RTVE will provided transcripts/subtitles. With this show and a new series of Doctor Who, the fall might not be so bad. Hopefully there will be subtitles very soon! It was indeed very well made. It was the Renaissance at its best! But I liked how deep down it was mostly about family (that’s all Carlos seemed to care about in the first episode). I think that there won’t be any subtitles until the rights to the show are sold to other countries. I noticed it’s usually a year for British TV. Very true, although bear in mind that he is only 25 -which is the same age Jenner was when Isabel began, but she has been a voiceover actress since she was five, which makes her speech richer. And Sancho is 40, so he has quite an extensive career behind him that Cervantes hasn’t had the time to make for himself yet. The only thing that can be highlighted from his resume is a supporting role in those Three Steps Above Heaven movies. I guess Carlos will be the turning point for him. Such a shame that we don’t get to enjoy more of Eusebio Poncela as Cisneros. Thankfully we have the film to look forward to!